With precious metals back at 4-year lows against a backdrop of gold migration from west to east, paper vs physical divergences, ‘disappearing’ Comex positions, dark pools in London, collateral grabs, and massive monetary policy extremist actions; we thought the following two presentations worth considering. Tocqueville’s John Hathaway delves into the darker corners of today’s gold markets while Mike Maloney reminds us of the big picture behind gold and silver as wealth insurance. The failure of a monetary system is never a smooth road – it is rocky and undulating, with twists and turns that don’t appear on any map. But the destination is always without question, despite suppression efforts: Gold will inevitably respond to an expanding fiat currency supply. That simple. This post was published at Zero Hedge on 09/20/2014. “You can’t eat GDP, and you can’t live in a rising stock market” is the striking phrase from NY Times’ Neil Irwin as he offers the most damning chart of the decline of America’s Economic Model (and dream). As we have explained vociferously, the most important thing to understand about today’s economy is: Around 1999, growth in the United States economy stopped translating to growth in middle-class incomes. It is no secret that Russia has had enough of the Petrodollar, and in light of ongoing western sanctions – which many view not so much as a reaction to events in Ukraine bur merely as an attempt to halt the Russian revolution against the Petrodollar status quo, crushing its economy before the momentum grows and more countries join Moscow – is constantly thinking of ways it can ditch the dollar as a medium of exchange as fast as possible. The problem is that when it comes to retaliating against the West, Russia – short of declaring an embargo on USD payments for its commodities – has little control over what currency its western trading partners will pay in. So instead it is focusing on its net exporting peers, aka the BRICS, with whom as previously reported, Russia had launched a “bank” alternative to the IMF when it comes to backstop and bailout funding, one that avoids reliance on the SDR, the USD, and on Western empathy. It is the same BRICs that, Russia’s Prime Minister Dmitry Medvedev, told Rossiya TV in an interview earlier today, should conduct transactions in national currencies, bypassing cross-rates with the US Dollar, adding that “we can easily make mutual settlements directly,” and the mechanism should be beneficial to both sides of transactions. Can the Economy Withstand Another Housing Breakdown? With the three fascinations of the week, the Fed’s FOMC statement, the separation vote in Scotland, and the Alibaba IPO, now history, will investors re-focus on the economy? Given what the Fed actually said in its statement, and some recent economic reports, it might be a good idea. Investors were anxious to judge how long the Fed will leave interest rates at low levels by whether or not it left the words ‘for a considerable time’ in its FOMC statement. Their problems led the way down into the Great Recession. They then led the way out, thanks to massive automaker and bank bailouts, and incentives to auto and home buyers. The problem is that while auto sales continued to recover almost all the way back to pre-recession levels, the housing recovery stalled more than a year ago. This post was published at FinancialSense on 09/19/2014. In terms of age, the 16-35 year-olds were divided, yet there was a pro union majority for the over 65 group counting on pensions. 16 and 17-year-olds voting 71% yes. 18-24-year-olds voted 52 to 48 against independence. 25-34-year-olds voted for Independence. 65s voted 73% to 27% to stay in the Union. This post was published at Armstrong Economics on September 20, 2014. The numbers cited by the paper are impressive: the number of 12.5kg gold bars being bought by wealthy customers has increased 243% so far this year, when compared to the same period last year, said Rob Halliday-Stein founder of BullionByPost. “These gold bars are usually stored in the vaults of central banks and are the same ones you see in the film ‘The Italian Job’,” added David Cousins, bullion executive from London based ATS Bullion. The sales of 1kg gold bars, worth about 25,000 each, have doubled during the three months ended August, when compared to the same period last year, Telegraph reports according to ATS Bullion sales figures. As a reminder, these are not some dinky, 1 oz coins that are being bought hand over fist: the bars which are made from pure gold and are worth more than 300,000 each at today’s prices of $1,223 (760) an ounce. What Is the VIX Fear Index Telling Us Now? Supply and Demand When you get down to brass tacks, asset prices are governed by supply and demand. In the markets, the conviction of buyers relative to the conviction of sellers also plays a major role. Therefore, ‘I am confident’ vs. ‘I am nervous’ ratios can help us monitor and manage investment risk. What is the market telling us now? Confident vs. Nervous One confident vs. nervous ratio, the S&P 500 relative to the VIX, is shown below. When the ratio was pushed back at resistance (see point A), weakness in stocks followed (bottom of chart). Conversely, when the ratio cleared resistance (point B), good things happened in the stock market. Last Friday (before the FED), the ratio was revisiting the horizontal blue line, meaning it was at a possible inflection point (see point C). The suppression of gold prices is essential at all costs to the Anglo-American banking interests. The saber rattling and attempts to lure Russia and China into military conflict are about who controls the financial world. Russia and China keep accumulating the eternal currency – gold. The American Empire and their EU disciples continue to accumulate debt and print fiat currencies. Has fiat paper ever won out over gold in the long-run? Change is coming. Revolution is in the air. You can sense the desperation of the ruling oligarchs. Their fiat world is beginning to crumble. But they will not go without a bloody fight. This post was published at The Burning Platform on 20th September 2014. Since weather has become the most crucial factor in forecasting economic growth, we thought it crucial to the future of central bank policy to note that Summer 2014 was officially the hottest one ever, according to NOAA. This of course means there is “pent-up” cold weather, which may explain the collapse in global growth expectations. However, this chatter about heat may surprise Americans (aside from those that live in the Western States) as the Mid-Atlantic and Northeast U. S. were running cooler than normal (thus concerns about growth). According to NOAA’s records, this is the 38th consecutive August and 354th consecutive month with a global average temperature above the 20th century average. It was the warmest summer on Earth since records began in 1880, according to a monthly climate report by NOAA’s National Climatic Data Center. During inflationary periods in the 1970s, Betty Crocker introduced “Hamburger Helper” as a way to stretch a struggling family’s budget. While the meals themselves were anything but the epitome of good healthy eating, the idea was that at least they were an affordable way for families to put food on the table. Fast-forward to 2014 and the Obama economy: Hamburger Helper is no more healthier than it was 40 years ago, but it is also not as affordable. Hamburger meat has skyrocketed in cost over the past couple of years, now averaging at more than $4.00 a pound for the first time ever. As reported by CNS News:Although the overall Consumer Price Index dropped by 0.2 percent in August, the price index for food rose 0.2 percent, with the average price for a pound of ground beef rising to $4.013 per pound–the first time it has ever topped $4 per pound. 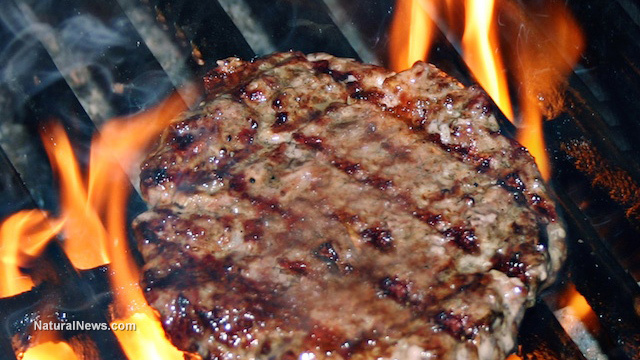 No end in siteThe Labor Department’s Bureau of Labor Statistics (BLS) reported in July that the average ground beef price had been about $3.88 a pound, which was, even then, a record up to that point. But from July to August, the price jumped 3.3 percent, or nearly 13 cents a pound. This post was published at Natural News on Saturday, September 20, 2014. This post was published at Global Economic Analysis on Saturday, September 20, 2014. In his latest commentary about gold market manipulation, Julian Phillips of the Gold Forecaster letter reviews the establishment of the London Gold Pool, the gold market-rigging mechanism of the Western central banks in the 1960s. The U.S. dollar survived the gold pool's collapse, Phillips writes, because the dollar was still required to purchase oil from the Middle East. Slow Uptake of TLTRO Funding It seems European banks are not all that eager to take up more central bank credit. The ECB has begun to offer its dirigiste ‘targeted long term refinancing operations’ at a spread of 10 basis points above the repo reference rate. Since the repo rate was lowered from 0.15% to 0.05% at the last ECB council meeting in early September, this type of funding has become even cheaper. However, when banks obtain funding by posting collateral with the ECB, this automatically creates additional bank reserves – and those bear a penalty rate of 20 basis points these days. We continue to be mystified by the introduction of the penalty interest rate on bank reserves. We have no idea what it is supposed to achieve and in fact we suspect that it actually achieves the opposite of what the ECB ostensibly wants. One of the goals is to weaken the euro, which is quite a hare-brained idea, as a weaker euro will affect consumer purchasing power across the euro zone negatively. Note that the euro area just posted another strong increase in its trade surplus. So even those who believe that a positive balance of trade is in any way indicative of an economy’s health (which is nonsense to begin with), will have to admit that the euro zone’s export sector hardly appears to be in need of an extra boost. This post was published at Acting-Man on September 19, 2014. The continuing strength of the U. S. dollar is bad news for the price of gold, and Eric Coffin believes that in the short term a price of $1,200/oz is possible, though there is room now for an oversold bounce. This, of course, is bad news for gold miners and explorers. But in this interview with The Gold Report, the publisher of Hard Rock Analyst counsels that even in a bull market, investors are advised to seek out potential tenbaggers, and presents several companies in gold, base metals and uranium with the potential to flourish even in hard times. The Gold Report: You told The Gold Report last year you were “neutral” on the state of the U. S. economy. Since then, the headline unemployment number has improved. Even so, asDavid Stockman, former director of the Office of Management and Budget, says, there have been no net new jobs created since July 2000, and jobs paying over $50,000 per year have disappeared by 18,000 per month since 2000. What is your view of the health of the U. S. economy? Eric Coffin: I’m more positive than neutral these days, but I do agree somewhat with Stockman. As unemployment falls toward 6%, we would expect an increase in wage gains. But we’re just not seeing that. And five years into the latest expansion, we’re not seeing the economic growth spurts that tend to occur coming out of a really bad recession. I don’t see how the U. S. economy keeps reproducing the 4% Q2/14 growth if we don’t see higher wage gains and higher paying jobs created. 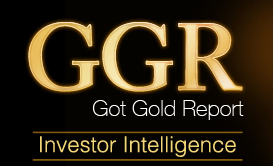 This post was published at GotGoldReport on Saturday, September 20, 2014. Forget all the news, all the fundamentals, all the [mostly errant] price projections. There is a reason why a picture is worth more than 1,000 words, and this is one of those times where it is best to focus on pictures of the market, over various time frames, to get a better handle on what to expect moving forward. Put to rest every so-called PMs pundit or blogger that has persistently been calling for higher prices or saying the low is in. We keep saying that the best and most reliable indicators come from the market. Time to stop listening about what others have been saying about the market and pay closer attention to what the market is saying about others. Several months ago, we expressed the thought that 2014 would likely be more like 2013 and to not expect a dramatic increase in gold and silver prices. Even that was optimistic as silver just reached recent 4 year lows. Are the markets manipulated? Absolutely! The United States and United Kingdom are both in the throes of desperation to keep alive the largest ever Ponzi scheme, that of Western central banks run by the unelected bureaucrats of the Bank for International Settlements [BIS], and all of the similarly unelected bureaucrats from the International Monetary Fund [IMF], who rule over all Western governments. Gold, and silver to a much lesser extent, are the proverbial wooden stake to be driven into the heart of the fiat system which rules over your life, realize it or not, like it or not. Have these unseen faces been successful in suppressing PM prices? Without question. Can it continue? Without question, but the increasingly pertinent question now is, for how much longer? No one has the answer, which has been proven despite the never- ending opinions asserted over the past few years. With each passing month it becomes sooner rather than later, but even sooner is taking longer than most have expected. This post was published at Edge Trader Plus on September 20, 2014. When the middle class loses the battle to inflation: Census data shows household income continues to stagnant while debt continues to expand. The annual Census data was recently released and showed a grim picture when it comes to household income. While GDP continues to grow and the stock market continues to reach new peaks, the middle class continues to fall further behind economically. Americans however continue to add mountains of student debt and auto debt as to make up for the lack of income growth. This appears to be a seminar of better living through debt. The middle class is witnessing the impact of inflation. While the CPI figures highlight moderate growth, just look at the cost of housing, cars, education, food, and healthcare and ask yourself if inflation really is that tame. It is not. Inflation is hitting middle class Americans where it hurts the most unfortunately. That is why the new Census data combined with figures on debt growth highlight a disturbing trend. That is a trend where middle class families are plugging gaps in income with going into deeper debt. While GDP continues to expand and the stock market makes new peaks, it is hard to tell how much of this is filtering down to working class Americans. Keep in mind that many companies were able to boost earnings via lower wages, cuts in benefits, and passing on higher profits to a few in a company. 90 percent of all stock wealth is held in the hands of 10 percent of the population. The Census data is released once a year but does a good job at highlighting where things stand in the current economy. This post was published at MyBudget360 on September 19, 2014.